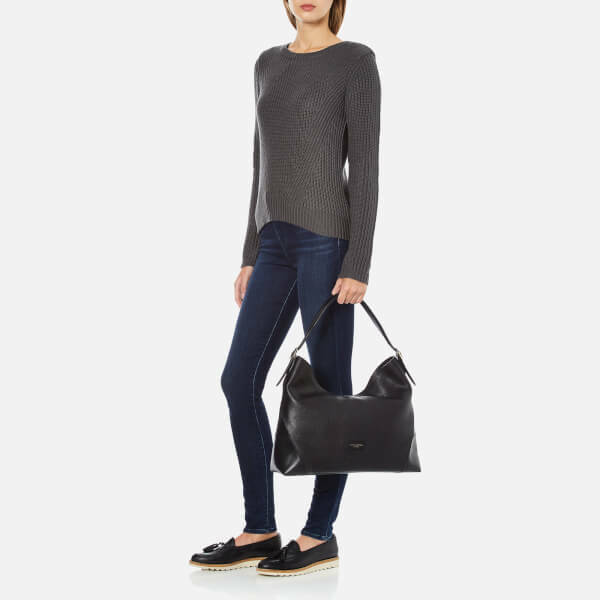 Slouchy hobo bag from artisans in luxury design, Aspinal of London. 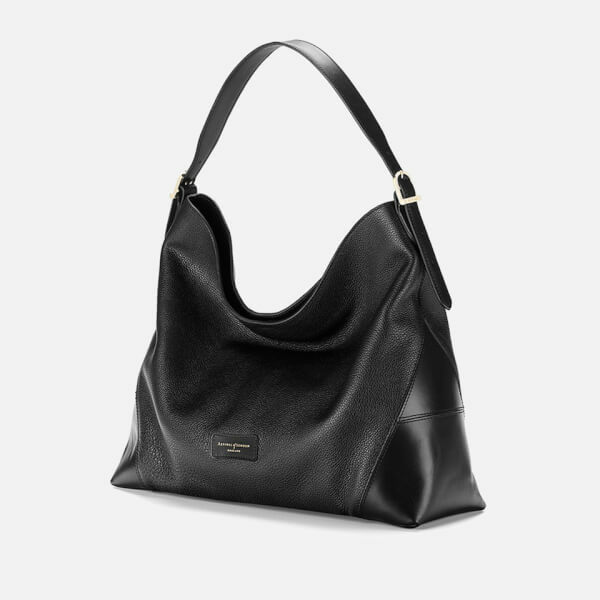 Handcrafted from the finest Italian calf leather in a pebble texture with a shimmering grosgrain lined interior. 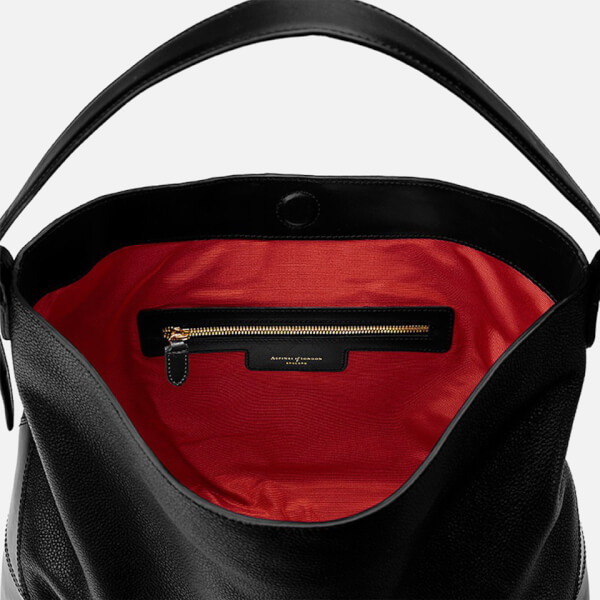 A concealed magnetic fasten secures the main compartment that houses a zipped and slip pockets internally. 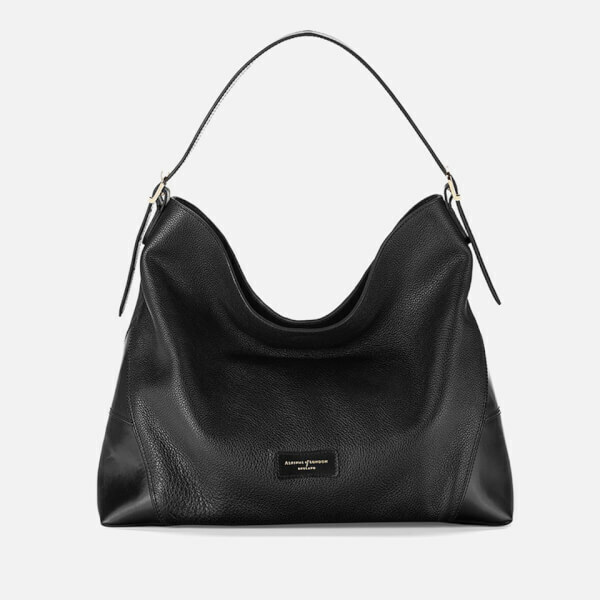 Featuring an adjustable shoulder strap. Finished with tonal stitching and a branded leather patch. Supplied in a protective Aspinal felt bag. - R.R. Outer: Italian Calf Leather. Lining: Grosgrain. Dimensions: H:32 x W:39 x D:13cm. Handle Drop: 28cm.